Well maybe. It’s gotta help anyway. 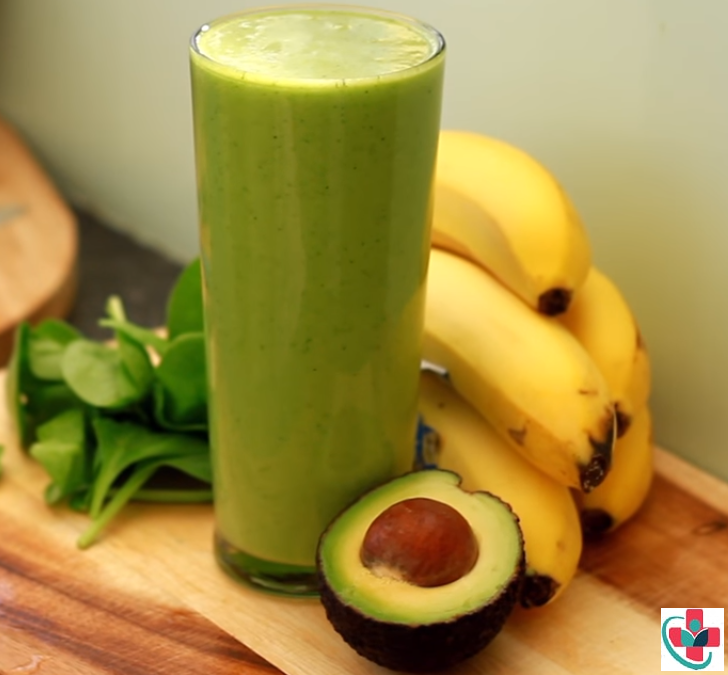 This one is quite a package with 74% RDI for vitamin C, 42% for iron, 38% for calcium and 33% for vitamin A.
Forgetting the statistics for a minute, this avocado and mint smoothie is a glass of good health. Its creaminess is somehow comforting, and it will definitely leave you feeling better for including it in your day. Over and out. Creamy avocado, fresh spinach, and mint are the stars of this refreshing green smoothie packed with health-giving properties. ⏩Put all ingredients into a blender, blend until smooth. ⏩If you prefer your smoothies very cold, use a frozen banana, or add a few ice cubes (and a little less almond milk to make up for the extra liquid). ➲ Good for Eyes: Combination of avocado and banana can improve the health of the eyes. ➲ Healthy Fat: Presence of monounsaturated fats helps to keep your skin, hair, and nails fresh and soft. ➲ Good for Digestion: Quicker absorption of nutrients helps in improving the process of digestion. ➲ Softening of Skin: Presence of vitamin E in avocado helps to keep your skin fresh and soft. ➲ Reduce Weight: Having an avocado banana smoothie in the morning will get you to feel fresh and lively for about many hours so that you won’t feel hungry!